Lao Buddhist are very devout and almost every Lao man joins a monastery, or temple, for at least a short period of time. Many men also become monks for the rest of their lives. 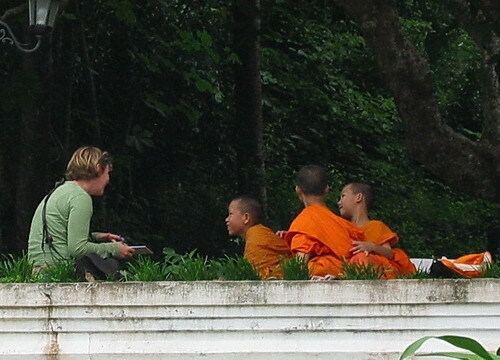 Most people donate food to the monks to gain merit and improve their karma. The temples of Laos were once seen as “Universities” for monks. 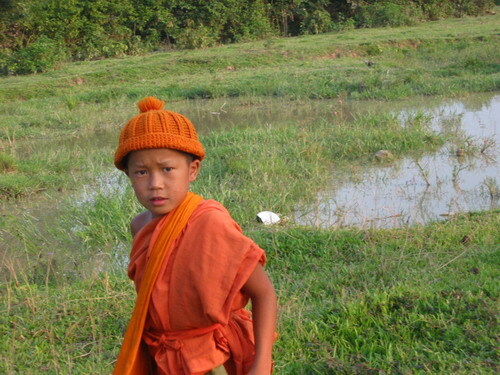 Lao monks are highly respected and revered in Lao communities. They look quite CUTE too.